Parliament will take up the Commissions of Inquiry (Amendment) Bill for debate next week. 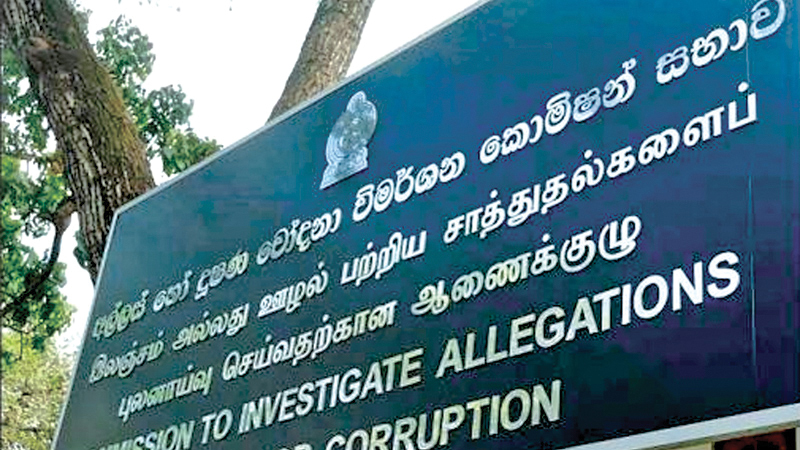 The Bill is to empower the Commission to Investigate Allegations of Bribery or Corruption (CIABOC) to file cases based on facts revealed by Commissions of Inquiry. The Bill was presented to Parliament on May 9 and was moved for debate by then Higher Education and Cultural Affairs Minister Dr Wijeyadasa Rajapakshe on October 12. Following a day’s debate the Bill was postponed to a future date. President Maithripala Sirisena on several occasions expressed his concerns lately over the delay in passing the legislation. According to the Amendments, Director General of Bribery Commission is given the power to file cases under the Bribery Act or Declaration of Assets and Liabilities Law based on the findings of Commissions of Inquiry appointed by the President. The amendments need to be passed by a 2/3 majority in Parliament. Following the passage of the Bill, the Bribery Commission can take legal action based on the findings of the Presidential Commission of Inquiry which looked into the Central Bank Treasury Bond allegations. The Commission handed over its report to the President in December, 2017. The financial irregularities in the SriLankan and Mihin Lanka Airlines and SriLankan Catering Ltd are also being probed by a Presidential Commission of Inquiry appointed by the President on January 31, 2018. The party leaders, who met in Parliament on January 9, decided to take up the Bill for debate on January 22.